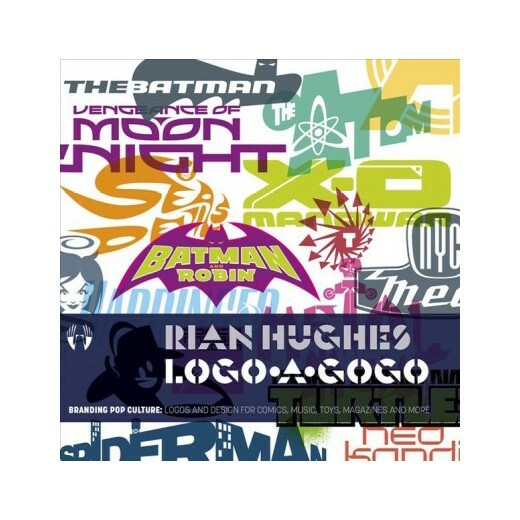 Gosh comics have announced an evening with Rian Hughes to celebrate the launch of his newest book, "Logo-a-gogo"
Rian Hughes will be here for a talk and q&a to celebrate the launch of his new book on pop culture branding, Logo-a-Gogo, on Thursday the 15th of March, 7.30 till 9 pm ! Rian Hughes embodies the word prolific. Since starting work in the 80s his work in illustration, graphic design, and typography have come to define an aesthetic: clean, chameleon-like but always distinctive. Now his latest book from Korero Press, Logo-a-Gogo, gives us a peek behind the scenes, charting the design process for some of his most famous logos, including Batman and Robin, Spider-Man, the X-Men, Captain America and Wolverine along with many others from a vast range of clients; from bands to artists, boutique fashion retailers to international corporations. 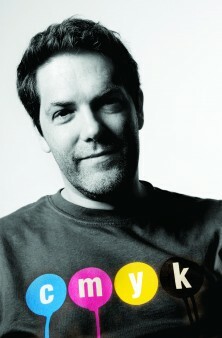 Rian will also be signing copies of his recent strip collection I Am A Number. We hope you can make on Thursday the 15th of March at 7.30-9 pm, it's sure to be a fascinating night, but if you can't and you'd like something signed, please email us at info@goshlondon.com.